Attorney Joshua Bedtelyon grew up in Louisville, Kentucky. Mr. Bedtelyon received his Bachelors Degree from University of Illinois in Political Science and a minor in Sociology. While at the University of Illinois Mr. Bedtelyon was a member of the Sigma Phi Epsilon fraternity. Through this organization Mr. Bedtelyon participated in fundraising for many national philanthropies such as Youth Aids and helped build a house for a low income family through Habitat for Humanity. Mr. Bedtelyon was selected to participate in the prestigious Cline Symposium on public affairs. In 2008 Mr. Bedtelyon moved to Columbus, Ohio to attend graduate school at Capital University Law School. Mr. Bedtelyon received his Juris Doctorate from Capital University Law School in the spring of 2011. 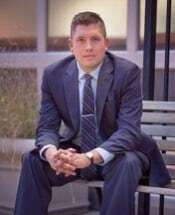 In July of 2011, Mr. Bedtelyon took, and passed, the Ohio Bar Exam and was sworn in as an Attorney by the Ohio Supreme Court in November, 2011. Upon employment with the Soroka and Associates LLC law firm, Mr. Bedtelyon was named lead attorney on domestic cases but also has done extensive work on civil, criminal, personal injury, and traffic cases. These experience lead to Mr. Bedtelyon being named partner with the firm in September, 2014. Mr. Bedtelyon has been successful arguing cases at the State and Appellate levels of the Ohio court system. In his spare time you might find Mr. Bedtelyon at one of the countless concerts the Columbus music scene has to offer. Mr. Bedtelyon is also an avid runner who has competed in many competitive races such as the Louisville Triple Crown 10 Miler. Mr. Bedtelyon is also an avid sports fan cheering on his beloved Fighting Illini and Detroit professional sports teams. In 2012, the state of Kentucky bestowed upon Mr. Bedtelyon the commission of being a member of The Honorable Order of Kentucky Colonels, the highest honor bestowed upon a civilian by the Kentucky General Assembly.